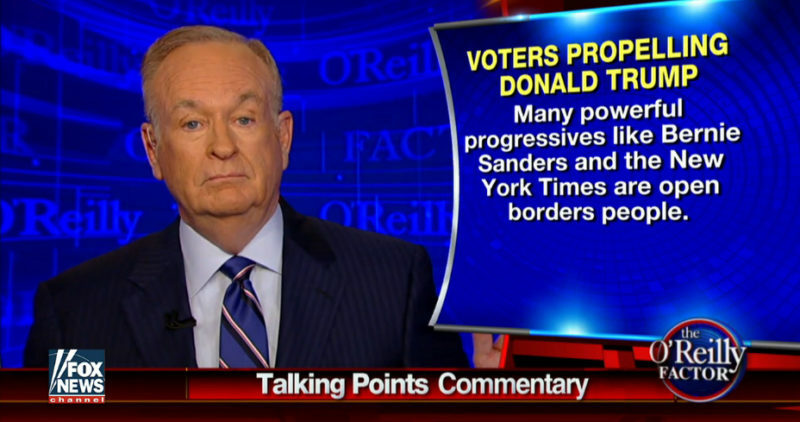 Bill O’Reilly breaks down the Republican front-runner’s rise in his Talking Points commentary. Why are voters propelling Donald Trump? Bill O’Reilly broke down the Republican front-runner’s rise in his Talking Points commentary tonight, after Trump managed to sweep all five states in yesterday’s Super Tuesday contests. “There’s been talk about the feckless nature of the GOP leadership as the primary reason why Mr. Trump is this close to the GOP nomination,” said the Factor host.